Water is the nemesis of flooring. While some flooring (vinyl for example) can hold up better against water than others, most need to be replaced after a flood. Once the insurance company has been called and a restoration company is on their way, many customers still have questions. Most of our customers have (thankfully) never been through a flood before and aren’t familiar with the insurance restoration process. Having answers to your questions and a guide on what is next to come helps to bring much needed peace of mind in this less than desirable situation. Though we cannot speak to the whole claim process, we can provide some insight about how the flooring portion of your claim works. A restoration contractor comes out to assess the damages. This restoration company can be one recommended by your insurance or one you chose. The restoration contractor writes a scope and gets their recommended flooring companies to come to your home. 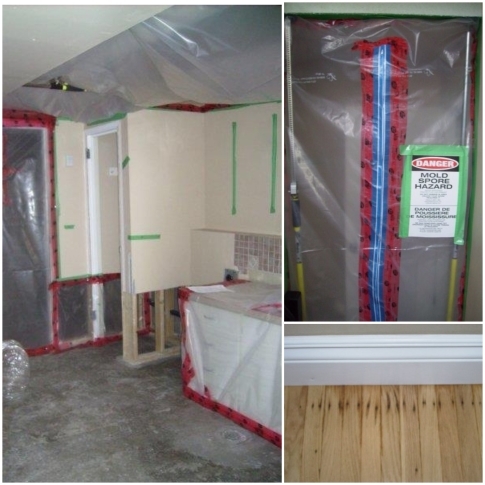 The flooring company measures the affected areas and takes samples of the existing flooring. A like kind and quality product is determined. The method used to determine like, kind and quality varies based on the insurance adjuster’s request but we most often send our samples to an independent flooring lab that recommends a like kind and quality replacement product and value. The flooring companies send a quote to the restoration contractor. Once received, the restoration contractor sends the flooring quote as part of the larger repair scope quote to the insurance adjuster. The insurance adjuster reviews the quotes they received (often from multiple companies) and approves one. Once a quote is approved, the flooring contractor receives an instruction to go ahead with product selection. This is just the general process followed in most of the insurance claims we have done flooring for. Some steps may vary depending on your restoration company. Your flooring company will bring out samples to your home or invite you to take a look at their showroom. The samples shown are the ones recommended by the lab or other products that are similar in quality and price. With thousands of flooring options out on the market and a constant turnover of products to accommodate new trends, no flooring company can guarantee they will find an exact match to your original flooring but we will certainly try! If you still have them, providing receipts from the original flooring purchase can be helpful for finding the same product. Since the existing flooring is being removed, many home owners use the repairs as an opportunity to switch out their current flooring for something new. At MIRA, we will ask a couple of questions about what you’re looking for and find products meet that criteria. We can either bring samples to your home or invite you to our showroom to view a wider selection of options. Once you have picked your samples, we will work out the upgrade cost for you. Depending on the complexity of the upgrade, we will either work out the price on the spot or email you the upgrade quote at a later date. Replacing your vinyl and carpet with tile and hardwood will often require a full upgrade quote, while the cost difference of choosing a higher priced carpet than your original carpet can be calculated in your home. We determine your upgrade amount by calculating the price of the product and installation, minus the amount covered by insurance. Often this amounts to one lump-sum total but we are more than happy to explain each of the costs to you, line by line if requested. 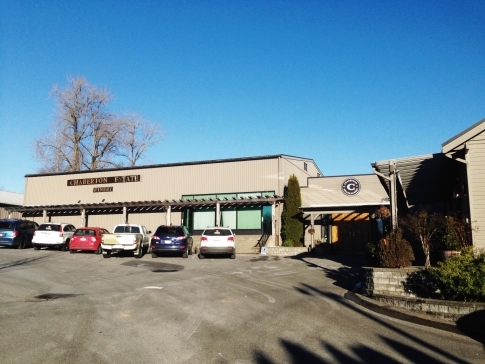 Do you have further questions about the insurance restoration process? Let us know in the comments! 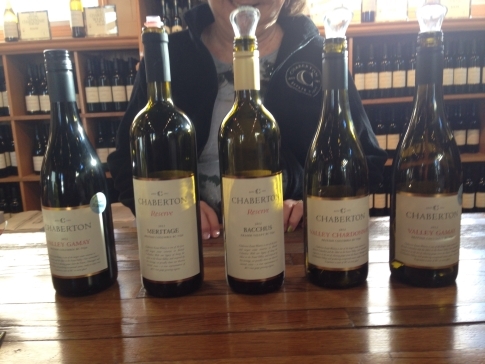 For the Spring 2014 reviews, we decided to take the wine reviews on the road to Chaberton Estate Winery. 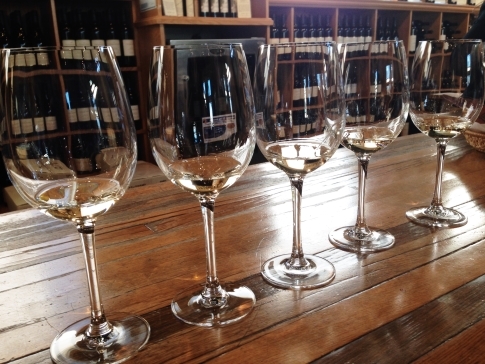 The MIRA Floors team took a day trip out to the winery located in heart of the picturesque farmland of South Langley. Before the tour we stopped by the Bacchus Bistro, the onsite French restaurant overlooking the vineyards. As expected, the staff were professional with great suggestions on wines that paired nicely with our chosen meals. 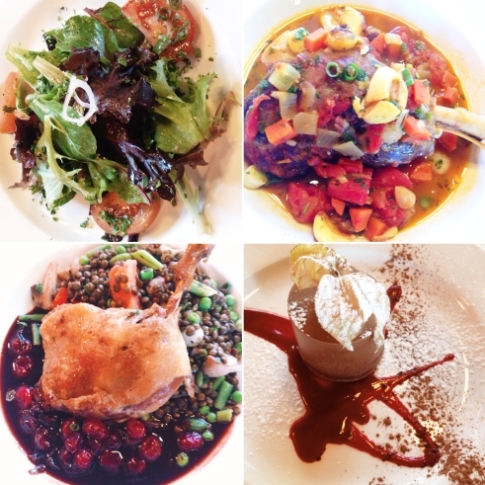 Some of the MIRA team favourite were the braised lamb shank and the duck leg confit. 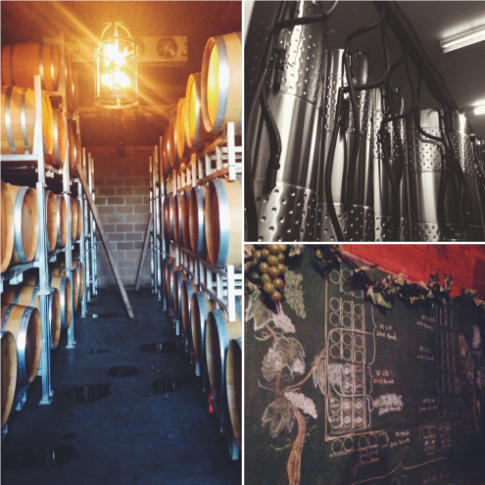 We took a tour of the vineyards and winery to view the process of creating wine from the vines to bottles. The barrels the wine is aged in are made of French oak – more dense than North American oak and only used a maximum of three times. Some enterprising winemakers have recognized that the dense French oak would be good for flooring and have turned the used wine barrels into flooring. Each wine barrel holds an impressive 225L of wine or 300 bottles worth. The chalkboard pictured below is a diagram of each wine that goes in each barrel. Since wine evaporates over time, the winemaker needs to keep track of the barrel’s for refills. This unoaked Chardonnay greets you with a refreshing aroma of lemon peel, pear and citrus fruits and provides complimentary flavours of green apple, lemon and nectarine for the palate. Enjoy this dry white on its own or try it with a goat cheese salad, creamy pasta or fresh seafood. Named after the wine god from Greece, this delectable white wine is made from estate grown grapes. The Bacchus grape is hybrid grape, created by cross-breeding three different grapes. Its taste is a bit sweeter, since it is related to Riesling grapes. This off-dry wines features palate pleasing flavours of citrus, nectarines and apricots. This lighter wine is a blend of Gamay Noir grapes from the Okanagan. It offers flavours fruity flavours such as strawberry jam with a bit of sweet spice and vanilla notes. Pair this wine with a meal of barbequed salmon, creamy cheses, and tapas. The name “Meritage” is portmanteau of the words “merit” and “heritage”. The grapes are a blend of merlot, Cabernet Franc and Cabernet Sauvignon selected from the Okanagan and Similkameen Valley. The nose is strong with scents of black currant, cedar and cassis and brings flavours of blackberries and peppers. This blend is best enjoyed with red meats, duck and hard cheeses.